Whether our jams and relishes are included in gift baskets, raffle items or used in numerous catering tents across New Zealand, we are happy to give back to our loyal customers and their communities. Each year Anathoth Farm proudly assists numerous charities, community groups, clubs and schools with their fundraising efforts. Many schools have been raising funds to upgrade their outdoors areas, which is a wonderful goal for the children involved with the fundraising endeavours. Cornwall Park District School held a school fair in April. 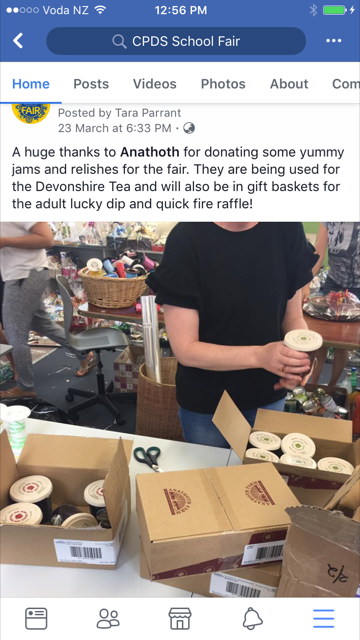 There was a Devonshire Tea with Anathoth Farm jams and pickles, and the old fashioned Quick-Fire raffle was as popular as ever! At last tally they hoped to have raised many thousands of dollars towards their school resources. Congratulations! Each Autumn, Geraldine High School holds the Geraldine Autumn Rogaine Muster (GRAM for short). Rogaining is an orienteering sport of long distance cross-country navigation, involving both route planning and navigation between checkpoints using a variety of map types. The competitors and supporters enjoy Anathoth Farm jams and pickles on fresh rolls, a great way to refuel after this cross-country activity. This year funds raised went towards a new climbing wall for their school gymnasium. 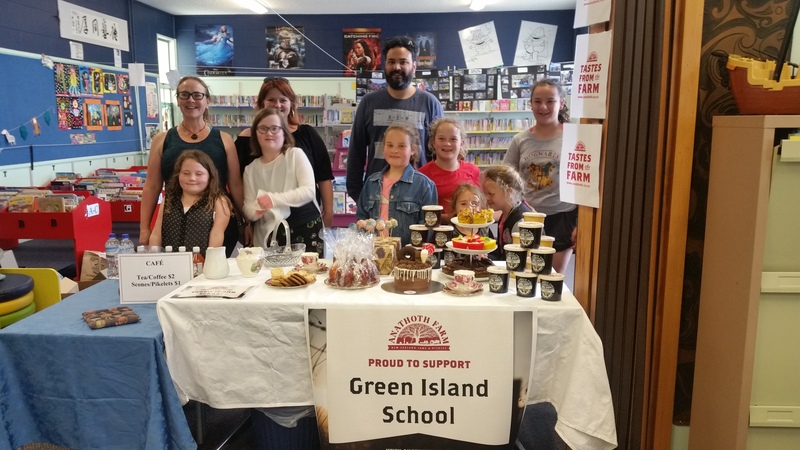 One of the many fundraisers organised by the PTA, the GRAM is a popular way to sign off summertime and is becoming a well-established local event. Green Island School held their second ever School Gala in October. They are a small primary school of approx. 200 students want to make some playground upgrades, so it was all hands on deck as the students and families got involved. They set up “Anathoth Café” in the school library bringing you scones, muffins, biscuits, cake, tea and coffee. It looked delicious! Proudly New Zealand made, Anathoth Farm are delighted to lend a helping hand to fellow Kiwis where possible through product sponsorship. So, if you have a High Tea or a BBQ or another fundraising event, get in touch! To check the criteria for future sponsorship opportunities, follow this link.